Ever since I can remember I’ve always dabbled with beauty therapy. Before very long I found myself doing make up for my friends and then their friends and even started trimming their hair! Looking back now it’s clear to me that I’ve always been a very hands on person and enjoyed working with people. At school I was a pretty good student, I passed my GCSE’s and was studying hard for my A’Levels because like everyone I wanted to get into a good Uni. Well…I’m proud to say I did pass, got the Uni I wanted but there was only one problem….I didn’t know what I wanted to do! I was helping my best friend find a University. She was going through clearing. We opened up the newspaper and every Uni was listed on this huge double spread. We spent the entire afternoon calling Universities up and luckily for her, she managed to get accepted into one. Well, we celebrated all night—we were both going to Uni! The next day I was cleaning the mess in my room from our impromptu party and as I grabbed that newspaper to throw away, a page fell out. As I picked it up I couldn’t believe what I saw. There was a long list of subjects and beside it, the University which taught it. My first reaction was like “Okay, this would have been handy yesterday when we actually needed it! Why didn’t we turn the page!? !—duh!” and then my eyes picked out a subject in that long list…Advance Beauty Therapy Practices. “That’s a course?? ?” I honestly never thought such a course existed. My head started to spin because I knew there and then, this is it, I had found my pathway—this is what I want to do. I bolted to my laptop and hit the internet hard. 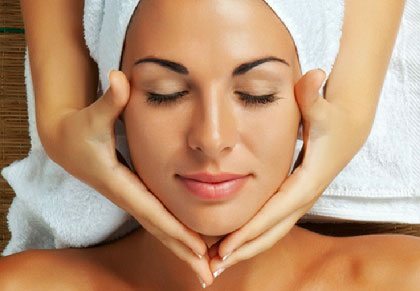 I started to research all I could about Beauty Therapy courses offered in London. The one thing those A’levels taught me was how to research thoroughly. I joined newsgroups, mailing lists, asking everyone for advice and suggestions. I asked people on blogs, forums, teachers from colleges, everybody and anybody who knew something about Beauty Therapy and its industry, what were the career opportunities? and where would be the best place and most reputable institution to study it? For the last question anyway, one name kept popping up. When I rang the Ray Cochrane Beauty School to ask if I could visit they were really welcoming and invited me to visit a few days later. The first thing I can remember when I walked in was how relaxed the atmosphere was, how it had this nice cosy feel about it. It was a big departure from my loud college which had several hundreds of students running through it. I had an illuminating conversation with the Principal and learned so much about this prestigious school in particular that it followed the CIDESCO syllabus which is generally accepted around the world as the certificate you need to be taken seriously as a Beauty Therapist. It was also the first CIDESCO accredited school in England. That was great but what impressed me even more was that I observed the school had a family feel to it. I really was convinced that if I were to get stuck on anything, the lecturers would help me because the place had that kind of friendly, we’re all in this together vibe. Most of the course is practical hands on work. You’ll learn Beauty Therapy theory first and then practice on a fellow classmate. Twice a week is spent in the schools salon which gives you real life, hands on training. You’ll interact with real people and give them whatever treatment they ask for. The school has this really cool rota policy which means you’ll get to experience different roles such as the receptionists, a therapist, the salon manager. My first week in the salon I shadowed a qualified therapist and in that one session alone I got to learn about health and safety in the salon and carrying out support duties. The next thing you need to know is that there are assessments in the course. At first everybody was really nervous of being assessed and we all tried to put it off but once you get through the first one you really do wonder what all the fuss is about. In fact there comes a point when you want to be assessed! You want to know for yourself if you’ve really understood and are executing the concepts and techniques which you are being taught. Towards the end of the course, we were all queuing up to be assessed because we knew that if we passed our assessment, we’d get our CIDESCO Diploma. It’s been almost 2 years now since I graduated. I got a job within a week, yes a week, after graduating. It seemed to me that the mere fact I graduated from The Ray Cochrane Beauty School was enough for me to be hired. The interviewer didn’t really ask much. She took a look at my qualification, mumbled something and I was hired! I worked there for a year, learning as much as I could and then I did what I always wanted to do which was, to leave and start my own salon! It was hard work and even now, there are some challenges but the training and the experience I received at The Ray Cochrane Beauty School has given me all the tools I need to negotiate those challenges. Did I tell you I was going to study to be an Accountant at University? That’s what I was going to be! Despite the way it happened, deep down I know I made the right choice and chose this path because of the type of person I am. I like to make people feel happy, bring a smile to their face and make them feel good about themselves. Being a beauty therapist does that and I’m proud to be one.